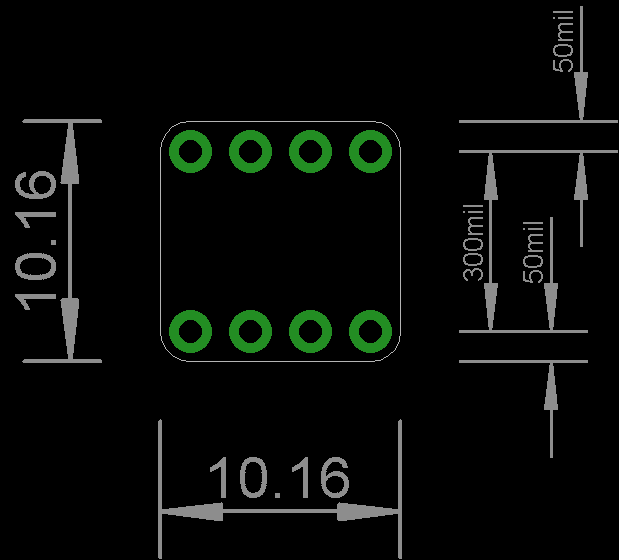 This Level Translating I2C Repeater Breakout board is designed for PCA9517ADP from NXP. 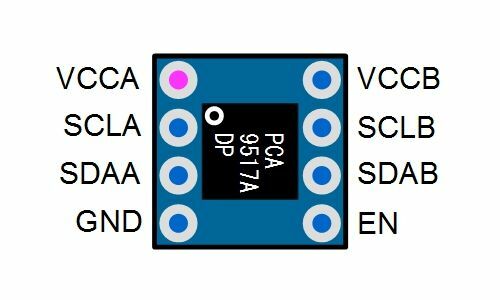 The PCA9517ADP by NXP is a CMOS integrated circuit that provides level shifting between low voltage (down to 0.9 V) and higher voltage (2.7 V to 5.5 V) I²C-bus or SMBus applications. Using the PCA9517A enables the system designer to isolate two halves of a bus for both voltage and capacitance. The 2.7 V to 5.5 V bus port B drivers behave much like the drivers on the PCA9515A device, while the adjustable voltage bus port A drivers drive more current and eliminate the static offset voltage. Bus enable function on board (on/off). 「EN」 pin is pulled up internally to port B. Please prepare pin headers separately and solder them as needed.